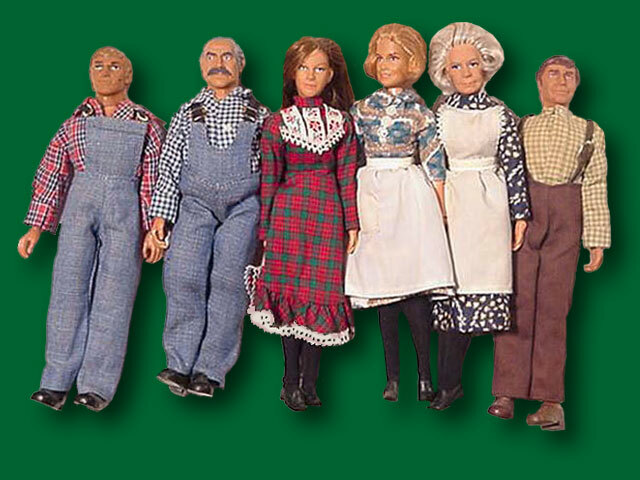 Poseable action figures were all the rage in the 1970's and the Waltons joined G.I. Joe on the toy shelf as well. The 8" dolls were sold in sets of 2 by Mego. 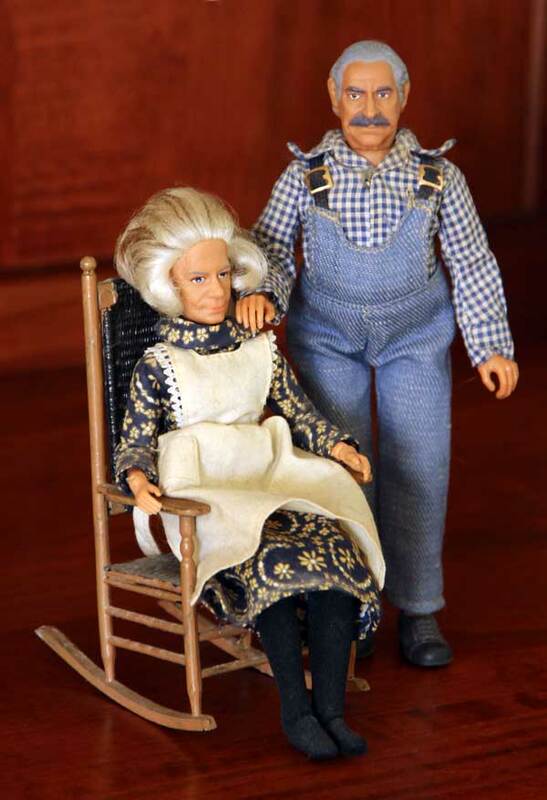 You could play with either John-Boy & Mary-Ellen, Grandma & Grandpa or Mom & Pop Walton. The action figures could interact with other seperately sold Mego products which included John's truck, the Walton barn, Ike Godsey's Country Store and the Walton Farmhouse pictured here on the back of the doll box.